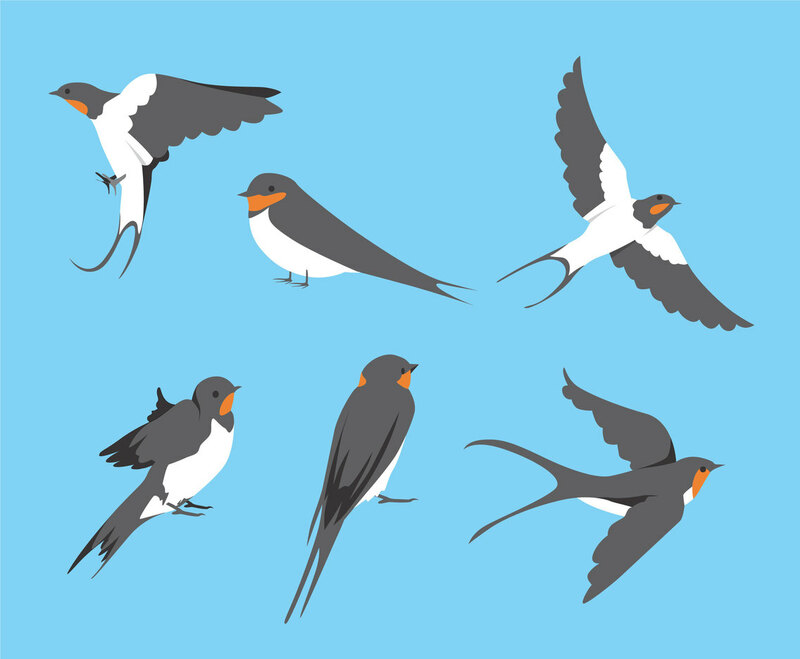 Illustration of swallow birds in various alternatives. A few of them are illustrated as flying bird. You can use it as part illustration element of kids book about animal, or types of birds in particular.